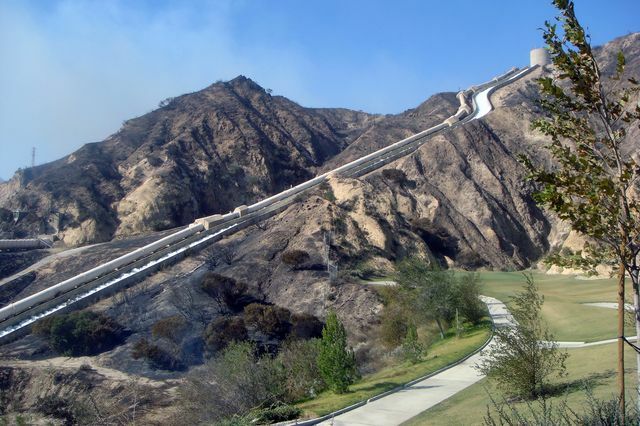 If anything were to happen to the aqueduct system, Los Angeles would be in trouble for water. 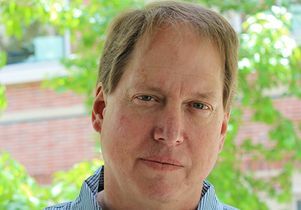 Mark Gold is the associate vice chancellor for environment and sustainability at UCLA, and he has worked extensively in the field of coastal protection and water pollution. This column appeared in the Los Angeles Times. Despite another hot and dry year with less than four inches of rain in the Los Angeles area, we are back to our water-wasting ways. Two years ago, Californians were using 24 percent less water compared with 2013. This year, we’re hardly conserving at all — just 1 percent. Clearly, our earlier successes were more behavioral than structural. If lawn removal and new efficient fixtures and appliances had saved all that water, we wouldn’t be seeing this momentous backslide. Meanwhile, our sources of imported water — from the Delta, the Colorado River and the Los Angeles aqueduct — have all been revealed as vulnerable to politics, drought, climate change and crumbling concrete in recent years. Los Angeles sorely needs to transform its water infrastructure. In a proactive move, Mayor Eric Garcetti and the city of Los Angeles this month released the Resilient Los Angeles plan, which outlines 96 steps to strengthen the city. Among the smartest moves: reduce our reliance on imported water from the current 85 percent to less than 50 percent by 2035. Right now, if an earthquake severed our connection to the L.A. Aqueduct, the State Water Project or the Colorado River Aqueduct, we would quickly be in dire straits. With a local supply portfolio — balanced between recycled water, captured stormwater and groundwater — the city will survive catastrophes. Pumping less water from faraway sources has environmental benefits too. Moving water across the state uses huge amounts of energy. Leaving more water in the Delta, Owens Valley and the Colorado River watershed would reduce ecological impacts and the carbon footprint of our water supplies. Currently, only 1 percent to 2 percent of the city's water supply comes from recycled water, but that could supply roughly 40 percent. All the wastewater going to the Terminal Island Treatment Plant gets recycled, but that’s not the case at the Tillman, Glendale or Hyperion treatment plants. Those three dump treated wastewater into the L.A. River and Santa Monica Bay. If all the treatment plants were upgraded, their recycled water could be injected or filtered into our local groundwater basins. This highly treated wastewater could be pumped directly to the Los Angeles Department of Water and Power's drinking water filtration plant for distribution to customers — providing the state establishes regulations for direct potable reuse — within a decade. Stormwater is another local source we haven’t adequately tapped. Based on a DWP study, urban runoff can provide an additional 58,000 acre-feet of water, or about 11 percent of current annual use. But the potential is there for much more: In an average rainfall year, 270,000 acre-feet per year of stormwater ends up flowing down the L.A. River into the ocean. Funding for green stormwater infrastructure could come from the L.A. County Safe Clean Water Measure, which is expected to be on the ballot this November. The final piece of the puzzle is our local groundwater basins. If Los Angeles can improve rainwater absorption with green streets and alleys, infiltration basins, biofilters and other nature-based solutions, local aquifers can provide approximately 114,000 acre-feet per year. An essential first step is already underway: the remediation of the San Fernando Valley aquifer. Our primary local aquifer, it became so contaminated with industrial chemicals that it’s a Superfund site. But the city, with support from the state, has begun a $600-million project to clean it up. By cleaning the groundwater, DWP could provide residents and businesses with up to 20 percent of local water supply. If we tally all those sources — recycled wastewater, captured stormwater and new groundwater — Los Angeles has about 372,000 acre-feet of local water that it could bring online by 2050. That's still not quite enough for a population likely to be 4.5 million. Going local on water won't be easy and it won’t be cheap. But it can be done. The city managed similar transformation once before when — in the span of a decade — it rebuilt the Hyperion Treatment Plant, replaced miles of old sewer lines and stopped dumping sewage sludge to clean up Santa Monica Bay. If that history can repeat itself, the benefits for Angelenos and distant ecosystems are enormous. 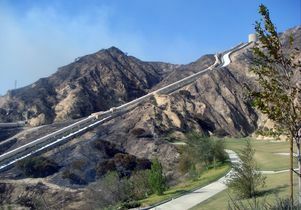 Los Angeles aqueduct. Kansas Sebastian/Flickr. Creative Commons 2.0.